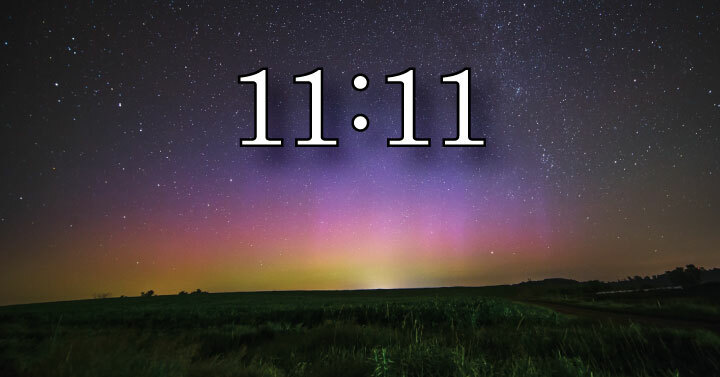 1.11. You Start Manifesting Things At A Faster Rate. 1.22. You Feel Totally Open To Changes. 1.33. You Keep Your Attention On The Present Moment. 1.44. You Don’t Feel Afraid To Tell The Universe What You Want. 1.55. You Feel More Positive Energy In Your Life. 1.66. You Feel At Peace. 1.77. Good Things Keep Happening To You. The quote “What you think about, comes about” best summarizes the law of attraction. In order to manifest anything in your life, you have to first bring it into your field of consciousness with your thoughts, which transform into visions, and then action. So, if you focus on negative thoughts or people, you will have more negative experiences. Conversely, if you shift your attention to the positive aspects of your life and what feels good, you will see more of that appear in the future. The law of attraction concept has been popularized in recent years due to the book and film “The Secret,” and although it shed much-needed light on one of the most hidden universal truths, it also raised many questions about how people can actually get this to work for them. When you turn your attention to things you DO want in your life, more of those things will start to appear before you. If you have learned to shut out the negative voice in your head telling you everything going wrong, and have shifted your focus to everything going right, you have already mastered one of the key components of the law of attraction. As you continue to keep your mind centered on what you want to see more of in your life, you will likely notice these things manifest more quickly. Everything starts to fall into place for you, and it couldn’t feel more right. You have learned to remain grateful for what you do have, and the universe has sent you even more to be thankful for. “What you resist, persists.” Any time you put up walls between you and an experience or person, you will only encounter it more often until you face your fears and confront any challenges head on. We all have come to Earth to get in touch with our highest selves, and that involves breaking the mold and leaving behind old thought processes and habits in order to reach our full potential. You have learned to just go with the flow, and accept whatever may come. You embrace every aspect of change; the vulnerability, the fear, the uncertainty. Because of this, the universe can more easily send you what you need on your path to keep growing and learning. Most of our lives, we have been fooled into thinking that only the future matters, and the present moment has no value. If you have noticed your life going in the right direction, you’ve likely learned how to shift your attention to the now instead of focusing so much on the future. Each moment you have, you focus on what you learned and keep the lessons with you along the way. Whether you believe in angels, spirit guides, or your higher self, you have gotten comfortable with the idea of telling the universe what you want, and actually working for it. If something doesn’t feel right in your life, you ask for guidance along the way. As you delve deeper into spirituality or simply talking with yourself or your angels, your unique path will become even clearer to you. All the negativity and heaviness that you once felt in your heart seems to melt away. The things that once bothered you just don’t seem to anymore. You feel happy, excited, and ready for what the day holds when you wake up in the morning. You know that the universe always has your back, so there’s no need to fret about the future or allow negativity to reign in your life. Regardless of what might be happening around you, you feel calm and content with where you’re at in life. You don’t let things outside of yourself bother you anymore, because you feel at ease within. You have finally found balance in life, and everything feels right just as it is. Recommended: How To Make The Law of Attraction Work For You? You don’t feel like you’re missing out on anything, and you have a strong connection to yourself and the universe, which contributes to all the good in your life. Obviously, when you tap into your higher self and discover what you came here to accomplish, life just starts to seem effortless. You meet the right people at just the right time, you go to places that enhance your spiritual growth and allow you to flourish, you become healthier, you have more abundance financially, and so on. While the right path isn’t completely devoid of obstacles, you start to notice that the good finally outweighs the bad. Do you see any of these signs that the Law of Attraction is working for you? Share your experience with us in the comments section bellow. YES I’m so happy it’s happening with my life now, with some note: point 1 and 4 are gradually slowly but surely happening. Point 3 is getting only stronger day by day – and greatly affect my overall day-to-day feeling and hope about my life, content, and peace feeling. This is not only happening in me but also my relationship with husband – our relationship is just getting better and better every day. I don’t know if this is all related to something in the universe but myself and both of us have been working hard enough to get to this point, too. In some respects I have seen things to be coming easier to me. I lost a job and the very next day I was able to get a new one. I happy about this and quite taken aback because it was so unexpected but so needed. I have also been seeing the numbers 11:11 and 3:33 a lot. I’m not quite sure what this means but it does make me think that there is some kind of Synchronicity going on. I still want to accomplish more things in my life even though I am 67 years old but the things I have I am grateful for and as I look back I realize I seem to get everything I have wanted, such as a new condo and a new car and a new job but there is something lacking. I still haven’t met someone that I can share my time or life with. I thought I had but he eventually told me he was already married. That has led to disillusionment and heartbreak. I still feel that if he is meant for me then he will be with me but in the meantime maybe something better will come along. For some reason I don’t feel as worried about it as I was. I guess time and distance take their toll. I am a very optimistic person and I feel I still have some living to do and in the meantime I will keep very physically and emotionally fit and I will keep striving and actually figuring out what it is that I want and when I do it will manifest. In some respects I have seen things to be coming easier to me. I lost a job and the very next day I was able to get a new one. I’m happy about this and quite taken aback because it was so unexpected but so needed. I have also been seeing the numbers 11:11 and 3:33 a lot. I’m not quite sure what this means but it does make me think that there is some kind of Synchronicity going on. I still want to accomplish more things in my life even though I am 67 years old but the things I have I am grateful for and as I look back I realize I seem to get everything I have wanted, such as a new condo and a new car and a new job but there is something lacking. I still haven’t met someone that I can share my time or life with. I thought I had but he eventually told me he was already married. That has led to disillusionment and heartbreak. I still feel that if he is meant for me then he will be with me but in the meantime maybe something better will come along. For some reason I don’t feel as worried about it as I was. I guess time and distance take their toll. I am a very optimistic person and I feel I still have some living to do and in the meantime I will keep very physically and emotionally fit and I will keep striving and actually figuring out what it is that I want and when I do it will manifest.